While the UTI I37GPS comes with brushless motors, the UTI I28GPS has brushed one. For those who are new in the field, brushless motors are not just more powerful, but also more reliable compared to the cheaper brushed motors. According to the advertised specs, the UTI I37GPS drone is powered by a 2s/1800mAh LiPo battery and it has up to 17 minutes flight time. The UTI I28GPS, being powered by 1s/1500mAh battery type, has up to 12 minutes flight autonomy. Both drones are equipped with a 1080P camera. The on-board camera features WiFi real-time image transmission. Both drones feature GPS positioning system, altitude hold and APP control. Through the UDIGPS APP you can enable intelligent flight modes like Follow me. 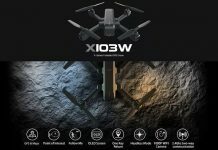 Is there a way to use a 5G drone without buying a $400+ cell phone with data programs? What about an adapter for an older cell phone without a data program? 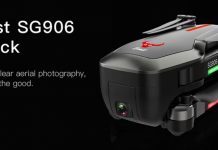 Is there a adapter for 5.8G FPV for the 5G drones or will we all need to buy a 5G FPV that isn’t sold? There is adapter from 5.8G to phones (via USB), but never heard about 5G WiFI FPV screen.